The “Battle of the Apples” sounds like something that could happen at a farmer’s market. Instead, it was a series of expensive lawsuits that spanned nearly 30 years and involved some of the biggest names in entertainment and technology: namely, the Beatles and Steve Jobs. The story goes that George Harrison was the one who first heard of Apple Computer, just after the company was founded in 1977. He alerted the staff of Apple Corps, the company the four Beatles had created in 1968 as a boutique/movie studio/electronics tinkerer/tax shelter that also served as a record label. That last division of Apple was the only one that really survived, mostly through releasing (and re-releasing) continually popular Beatles music. In 1978, Apple Corps sued Apple Computer for violating its trademark. The two reached a settlement in ’81, agreeing that they could co-exist by functioning in separate spheres. Corps would stick to entertainment while Computer would stick to, well, computers. Jobs’ technology company also paid $80,000 for the rights to keep the Apple name. But that wouldn’t be the last time the two Apples would try to take a bite out of each other. As the ’80s continued, computers became more complicated, increasing the range of tasks a typical Apple machine could achieve. Multiple products in Apple’s Macintosh line were engineered for music creation and playback, something the folks at Apple Corps thought violated the two corporations’ 1981 settlement. Not long after Apple Computer announced the Musical Instrument Digital Interface (MIDI), which allowed computers to interact with musical instruments, the Beatles’ record label sued again. The litigation halted production on multiple products for Apple Computer, which feared a loss in this lawsuit would stop it from ever releasing another machine capable of doing anything music-related. Many employees were bitter about the courtroom fight. It is not a coincidence that an alert sound in the Macintosh’s 1991 operating system was titled Sosumi (“so sue me”). Finally landing somewhere between bitterness and business, the two Apples were able to come to an agreement, resulting in another settlement that was reached on Oct. 9, 1991. Computer agreed to pay Corps $26.5 million in damages, along with legal costs. The settlement further delineated the separate worlds the two companies could occupy. Apple Corps held the rights to “creative works whose principal content is music” while Apple Computer was now allowed to build and market products that would “reproduce, run, play or otherwise deliver such content.” Basically, Corps agreed that Computer could play music on their products. However, the computer manufacturer was prohibited from using its trademark “in connection with physical media delivering pre-recorded content … (such as a compact disc of Rolling Stones music).” Yes, the Stones. Even in their own settlement, the Beatles didn’t want to be associated with the computer company. Of course, the iTunes music store was 12 years away. Apple Corps and Apple Computer would meet one more time in a court of law. Computer won that case in 2006, and the two companies reached yet another settlement in 2007. A few years later, after decades of legal clashes, the Beatles’ music would finally debut on iTunes. How about them apples? 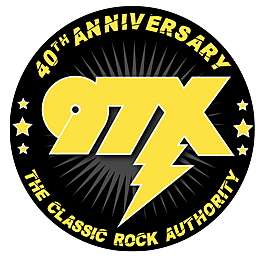 2019 97X is part of the Loudwire Network, Townsquare Media, Inc. All rights reserved.